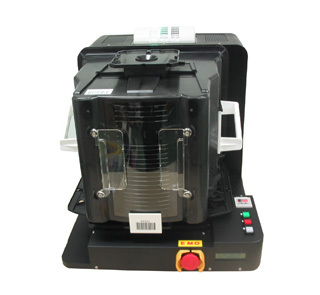 FO-300 is front open type to open and close the FOUP door by the automatic operation. Installs only necessary function, can offer FO-300 at low price. Opening and closing movement of the cassette door is possible in 10 seconds. Load the cassette and push the OPEN / CLOSE button. Opening and closing the door is possible by simple operation. Because FO-300 is compact size, setting is possible easily. Opening and closing is possible at high speed.